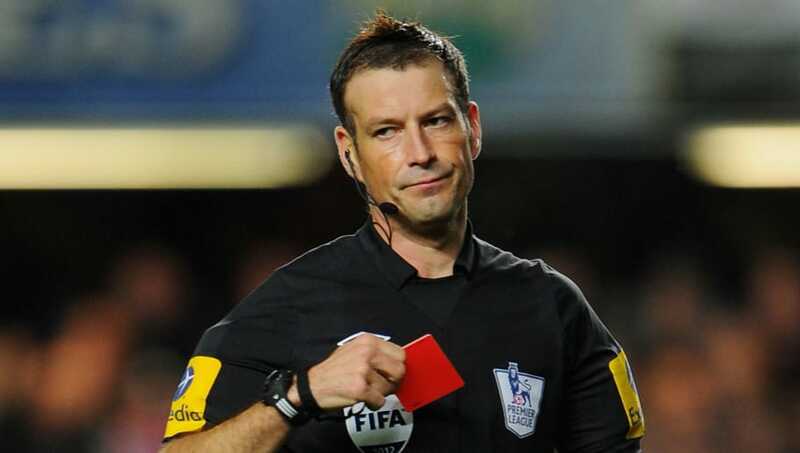 Former Premier League referee Mark Clattenburg has had his say on Vincent Kompany's lunge on Mohamed Salah during Manchester City's win over Liverpool on Thursday night and believes the defender should've seen red for the challenge. The result at the Etihad Stadium, which saw City close the gap on league leaders to four points, inflicted Liverpool's first Premier League defeat of the season. Pep Guardiola's side earned a hard fought 2-1 victory over Jurgen Klopp's side, but the hosts were lucky to have finished the visibly heated match with all their players. ​Kompany denied ​Salah a chance to go clear on goal with his foul, but referee Anthony Taylor only showed him a yellow card. Klopp was visibly ​furious after the match, and former referee Clattenburg would have dished out a red had he been officiating. Klopp: "I really like Vincent Kompany but how on Earth is that not a red card? He is last man and he goes in. If he hits Mo more he is out for the season." "Vincent Kompany was lucky not to be sent off for his challenge on ​Liverpool’s Mo Salah," Clattenburg wrote in his ​Sportsmail column. "In defence of referee Anthony Taylor, he does not have the luxury of slowing the action down and reviewing the incident — and in moments such as this, that is sometimes what you need to be 100 per cent sure, because everything happens so quickly,"
"On watching the replay, it is easy to make a case for a red card, because it is clear Kompany lunges with a straight leg and his studs showing. The Belgian knew he had to make that type of tackle because Salah would have been away and one-on-one with the goalkeeper. A referee should consider all such factors." Vincent Kompany’s tackle was definitely worthy of a red card but nobody could see that from first look, hence why VAR is needed. The loss means Liverpool now lead ​City by just four points, leaving the title race wide open with 17 games still to play.